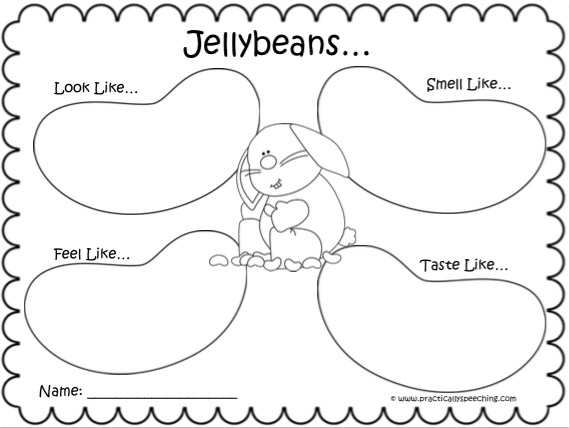 Jellybean Sorting and Five Senses - FREEBIE Alert! As I'm searching the dollar store yesterday for something easter-y and spring-y, it hit me! I haven't used jellybeans yet! 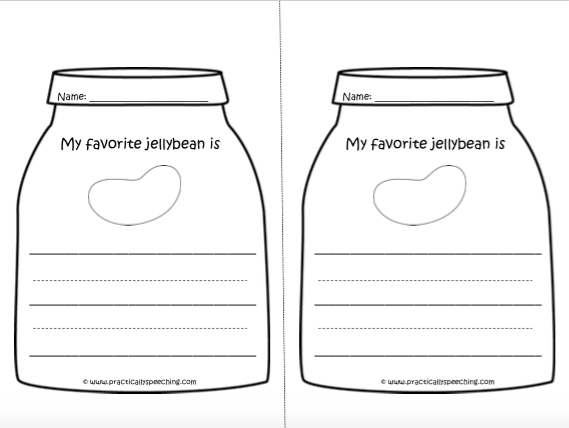 I've seen a bunch of cute jellybean sorting activities on TpT, but I needed something for the five senses and making predictions - voila, this baby was born before work! Initially, we made a prediction about which jellybeans we were going to have the most and least of. I had to go over the most/least concept using some jellybeans as a model. It's kind of an odd math concept for some of my little ones, but once I used the jellybeans as a manipulative, they got it! 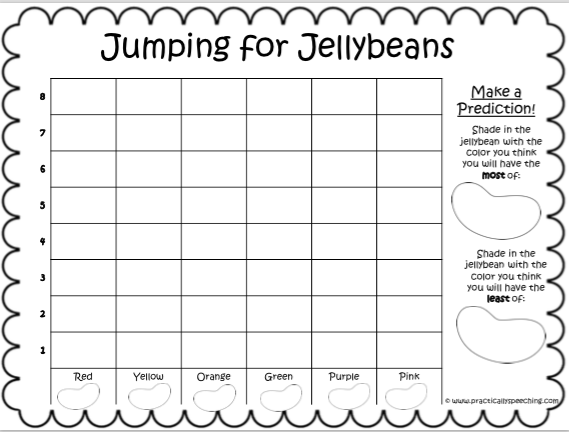 After our predicting, we colored each blank jellybean to correspond with the written color on the graph. This is showing how to use our strategies in the classroom, highlighting, linking with color, etc. It's also helpful for our kiddos who are emergent readers and need that support. Eventually, we moved on to the fun part - where they each get ONE jellybean. You can send home a bag, but for your own sanity, use one! Jellybeans roll and you don't want to give more than one otherwise you're going to end up with the whole bag on the floor. We touched it, looked at it, smelled it, and finally, tasted it! With my little ones, we wrote on the board and used our vocabulary to formulate answers on the jellybean sheet. Some of them drew pictures to support their writing. With my older ones, they wrote sentences using the vocabulary we talked about. Now, the counting! I placed a handful of jellybeans in each bowl and had them sort the jellybeans onto the graph - one color at a time. They then colored in the amount of boxes that correlated to the jellybeans they had. When they were finished we compared our predictions with what actually happened and talked about how we could've made more exact predictions! Of course, at the end everyone got their bag of jellybeans!! Download this fun, FREE activity HERE on TpT! Happy Spring!